The author, journalist and multifaceted thinker Arthur Koestler (1905-83) lived, on and off, in Berlin from the mid 1920s until 1932. I studied his work when I was at university, reading many of his books except, including his great anti-communist novel, Darkness at Noon (published in 1940). I forgot about him for a couple of decades, but began re-reading him a few years ago. Living as I was at that time in Berlin, I suddenly realised that not only had his ideas influenced me far more deeply than I had expected, but also that many incidents from his life story occurred in parts of Berlin that I knew well. His work had always seemed extremely real – something that very few people manage to do when writing about the Nazis, but this added a dimension for me. 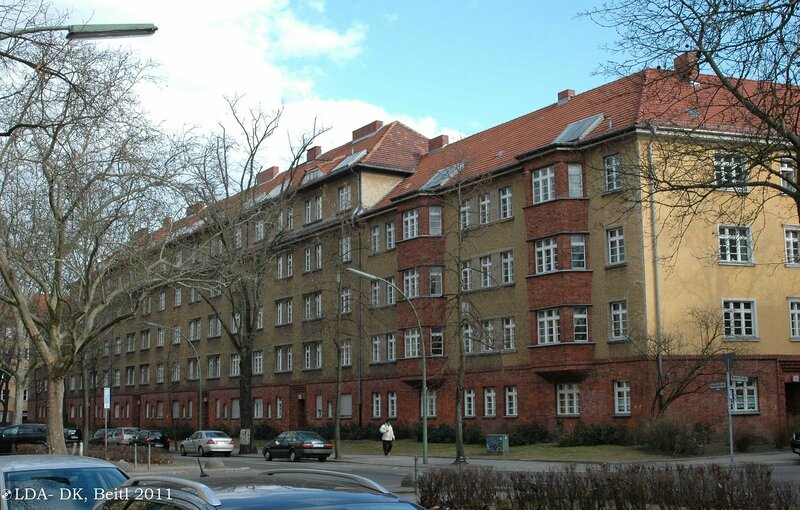 But despite having written one of the great novels of the twentieth century, there are no memorials or plaques to Koestler in Berlin. 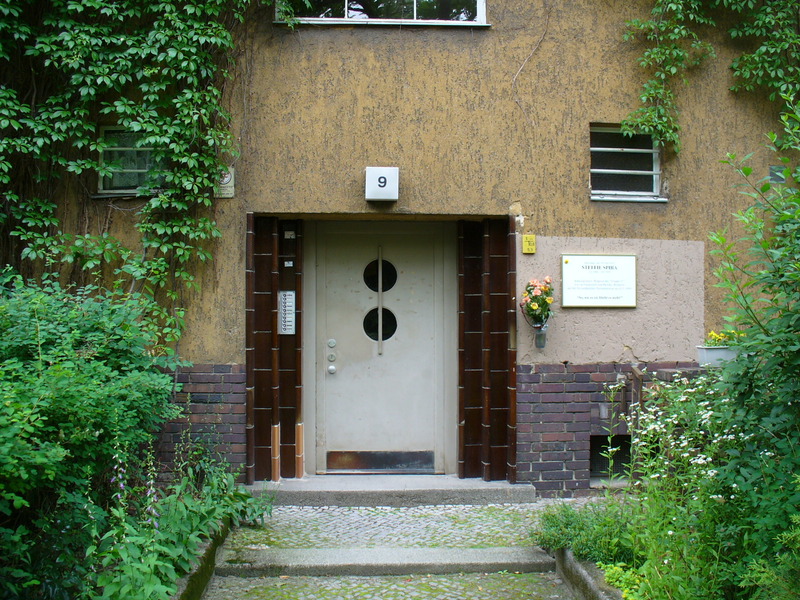 In the red brick buildings of the artists’ colony in Bonner Strasse where he lived, there are plaques memorialising many of the anti-Nazi activists, but none noting the domicile of one of the most important authors of the twentieth century. 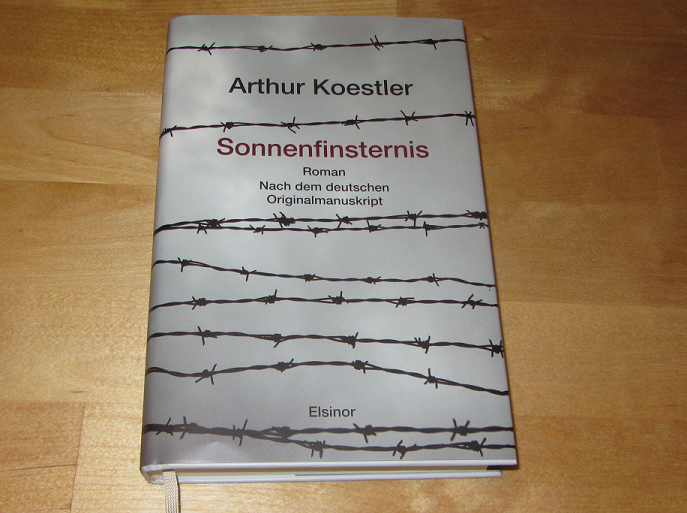 Koestler’s undeserved non-fame in Germany is, in fact, easier to understand in the light of the extremely unusual history of his most famous book. Koestler had conceived of Darkness at Noon amidst tumultuous events of one of the most tumultuous times in world history. Having witnessed the rise of the Nazis, he had also just evaded a death sentence during incarceration in Spain. He escaped to France, but the Nazis soon invaded, forcing him to flee Paris to southern France. His partner, Daphne Hardy, had managed to translated the novel into English and send it to London before they had to flee again as the Nazi invasion rolled southwards. Unfortunately in the chaos of this flight Koestler left the manuscript — the only copy — on the kitchen table. The translation thus effectively became the original. And, it should be noted, the original translation had been further hampered by the fact that Hardy, was a sculptor, not a writer. The sharp edge of German communist terminology was often lost in a clunky transliteration, or simply skipped over. Other times she added elements to text that were not in the original. Her task was made even more difficult by Koestler’s highly strung nature, already exacerbated by the circumstances. Yet Hardy’s translation and, above all Koesatler’s searingly insightful and tragic narrative, were sufficient for the book to be ranked No. 8 in the US Modern Library’s list of the Top 100 English language novels of all time. In 2016, in an extraordinary twist of fate, a German doctoral student (Matthias Weßel) was reading through the contents list for a box of Koestler’s papers in a Swiss archive when he came across a listing for a manuscript titled Rubaschow — known to be the working title of Darkness at Noon. Incredibly, the manuscript that Koestler had left on a kitchen table in France had somehow landed in this archive and sat there for decades undiscovered. In September of 2018, it was published for the first time in German. Finally published in September 2018 (Koestler’s working title was Rubaschow. Translator Daphne Hardy suggested the English title. Not many books become classics 78 years before they are published! And, I suppose, this also means it’s no longer a great English language novel. Darkness at Noon dropped like an intellectual bombshell in 1940, upon many whose sympathies for communism had been heightened by a loathing for Nazism. When translated into French, “it was one of the primary reasons the Communist Party never came to power in France, a real possibility at the time”. This claim may sound exaggerated, but Anne Applebaum (the author of the this quote) is not given to hyperbole, and is not the only historian to reach this conclusion. 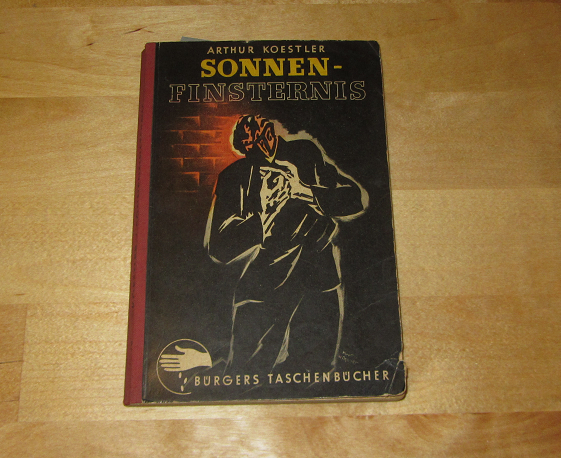 A German edition, (reverse translated with Koestler’s help) was published for that country in 1946. Ivanov let a few seconds go by. He smoked and drew a few figures with his pencil on the blotting-paper. He seemed to be searching for the exact words. Rubashov thought this over; he was somewhat taken aback. For a moment, it was as if Ivanov had hit a tuning fork, to which his mind responded of its own accord…. Rubashov immediately recognised the error that had crept into his thinking. His great personal weakness: he could not prevent himself from considering the perspective of others. He had begun to hesitate and reflect rather than carry out orders: revealing unacceptable doubts about the inexorable course of history that the Party embodied. He had begun to feel guilt — a petit bourgois sentiment entirely foreign to historical necessity. Either he would decide that his tendency towards self-reflection was correct and thus betray the Party; or he must recognise his fallibility and maintain his faith in the Party. Koestler himself had internalised communist logic that the interrogator Ivanov so deftly expresses. As a brilliant thinker of rather unstable personality, communism no doubt gave him a structure he could accept and submit himself to. As a Jew in Berlin in the late 1920s and early 1930s, he, quite accurately, saw the Party as the most powerful opponent of Nazism. But for Koestler this it wasn’t just Realpolitik. He ultimately highlighted three characteristics of communism that made it especially persuasive: the way it used idea that the end justifies the means as a way of evading ethics; communism as a kind of religious faith; and that it carried a built in mechanism for disabling all criticism of Stalinism, and all self-reflection. These are of course, all interrelated. But who will be proved right? It will only be known later. Meanwhile he is bound to act on credit and sell his soul to the devil, in the hope of absolution. Later Rubashov, compares his own own strength of conviction to that of the leader of Party (clearly based on Stalin). No. 1 has faith in himself, tough, slow, sullen, unshakable. He has the most solid anchor chain of all. Mine has worn thin in the last four years… The fact is: I no longer believe in my infallibility. That is why I am lost. The context in the novel is the tumultuous years of war and, within Russia, the attempted transformation of an agrarian society into an industrial super power at high speed. History was, so to speak cutting a destructive course through tens of millions of lives, regardless of which side was right or wrong. Rubashov realises his self-doubt not only sets him outside the Party, but even prevents him from criticising the Party decisively. No one who doubts themselves believes they will be proven right by history. He ultimately goes to his execution still suspecting that No. 1 may be right after all. 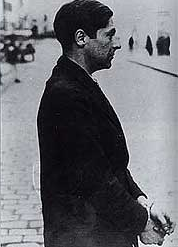 In Spain in the mid 1930s, Koestler had witnessed Stalin’s betrayal of Spanish communists. But his encounters with fascism also began to sow seeds of doubt about. 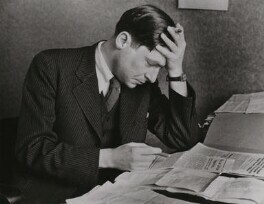 He had decided to remain in Malaga to as the only journalist to report on the fall of that city to Franco’s troops in 1937, when he was arrested. Managing to evade summary execution, he was transported to Seville where he was incarcerated for 90 days in solitary confinement. Franco had signed an order for his execution. His status as foreign journalist working for an English newspaper seems to have delayed his execution long enough for Hardy and some English diplomats to successfully petition Franco for his release. It wasn’t his so much his own apparently imminent execution that challenged Koestler’s communist beliefs — his ideological training had prepared him for that. And the amount of suffering and death he had witnessed in the preceding years had inured him to self-pity. Koestler later estimated that several thousand prisoners must have been executed in that prison during the period of his incarceration in Seville. As a communist he could have marked this up in the historical ledger as a fascist war crime. But he could not help but recognise an appalling reflection in the actions and mentality of Franco’s army. He could no longer use the exigencies of supposed historical necessity to cloak his conscience. But something else happened to Koestler too during his incarceration that, as he later put it, demolished the foundations of his communism at a subconscious level. To explain it, he borrowed a term from William James: the oceanic experience. Having lost everything except his own consciousness, and despite the agonies and deprivations he was being subjected to, he seems to have experienced intervals of profound peacefulness, or bliss. He didn’t quite realise it at the time, but it propelled him out of the ideological trap he had so deliberately entered. His communist training — his conception of consciousness as the product of the economic substructure — simply had no place for this experience. His extraordinary prison diary, published as Dialogue With Death, recounts his arrest and internment in a manner that is infused with this light. He writes of his own pain and terror in a way that is oddly neutral or non-emotional, yet vivid in detail. His horror and disgust are often palpable in his writing, but the sense of ‘drama’ that is usually to be found in accounts such as these, is entirely absent. In fact, this peculiar light imbues all his autobiographical writings, as well as Darkness at Noon. His obsession in later life with pseudo-science is also largely a product of this, and I think he has been a little too harshly judged by history for this weakness. That Darkness at Noon would end with Rubashov’s execution was intimated from the beginning of the book. But its unforgettable final passage is drawn from an incident in Spain. Koestler, being held after his arrest in a police station in Malaga was being forced to watch the brutal treatment of other suspects. The young soldiers seemed to be from elsewhere, but an older police officer doing paper work was probably, he surmised, a local. Koestler began surreptitiously observing this man for his reactions — he had probably lived and worked here all his life and must be shocked to find himself swept up in these events. The officer eventually noticed Koestler watching him, and at one point when another victim was being dragged out, he half-looked at Koestler and gave a barely perceptible shrug of his shoulders. A second smashing blow hit him on the ear. Then all became quiet. There was the sea again with its sounds. A wave slowly lifted him up. It came from afar and traveled sedately on, a shrug of eternity. Wonderful post..thank you! My husband is a WWII scholar..I think we have a copy somewhere in our library. I’ll share this with him.